Protestors spoke out against cuts to home care services in the Illinois state budget at a rally late Saturday afternoon. CHICAGO (WLS) -- Protestors spoke out against cuts to home care services in the Illinois state budget at a rally late Saturday afternoon. 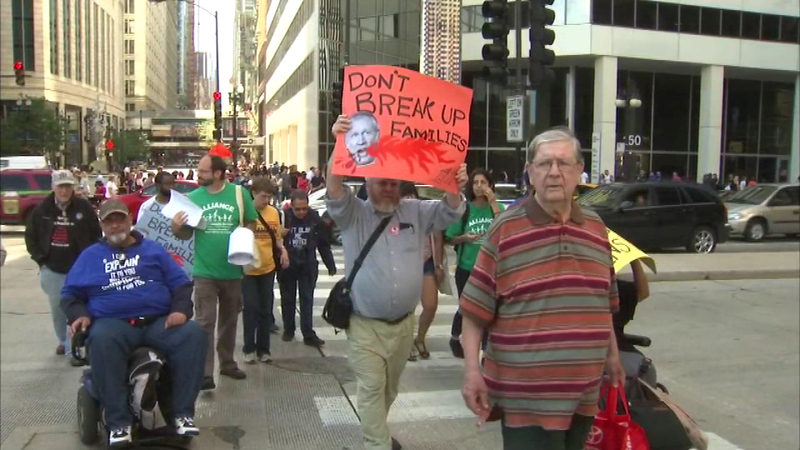 The group gathered at the Cultural Center in the Loop and marched to Governor Bruce Rauner's Chicago home. State lawmakers will return to Springfield Monday to try to reach a deal. July 1 is the deadline to reach an agreement. If a deal is not made, state services could be disrupted.